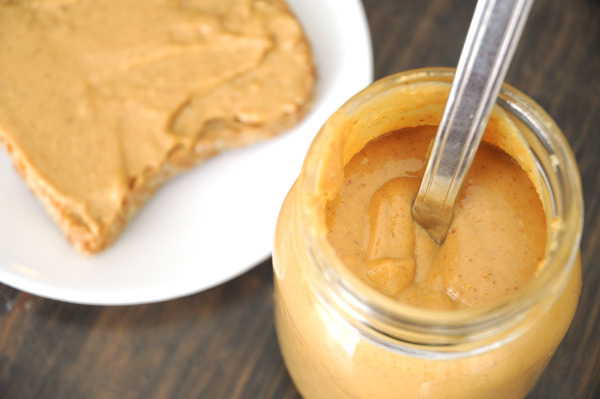 Homemade nut butters have got to be one of the easiest things to make, ever. With only 1 ingredient, you can have delicious, creamy almond, peanut, cashew… any type of nut butter you desire, in just minutes. Skip the store-bought stuff that is loaded with junk on top of more junk. Homemade nut butter is where it’s at. Not only is it easy to make, and delicious, but it’s also way, way cheaper than buying it from a grocery store. In our house, we go through a ton of peanut butter every week. Our 2 kids eat it almost daily, we have it in oatmeal, in smoothies, and in a lot of baked goods that I whip up. That means I always need to have peanuts on hand to make delicious homemade peanut butter at least twice each month. I use either my KitchenAid food processor or the Twister Jar for our Blendtec blender to make my nut butters (I used the food processors for the peanut butter in these photos). Both of them work really great for peanut butter, but I prefer the Twister Jar because it usually gets the peanut butter much smoother. 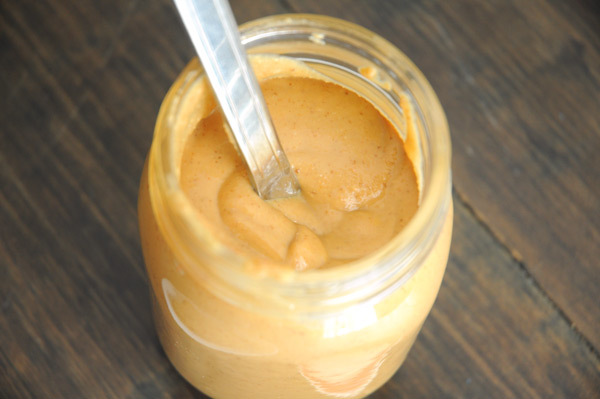 If you like a chunkier peanut butter, you can just use a food processor. Once it’s done, it will be pretty thin because of the warmth from the food processor/blender, but let it sit in the fridge for a few hours and it will thicken up. 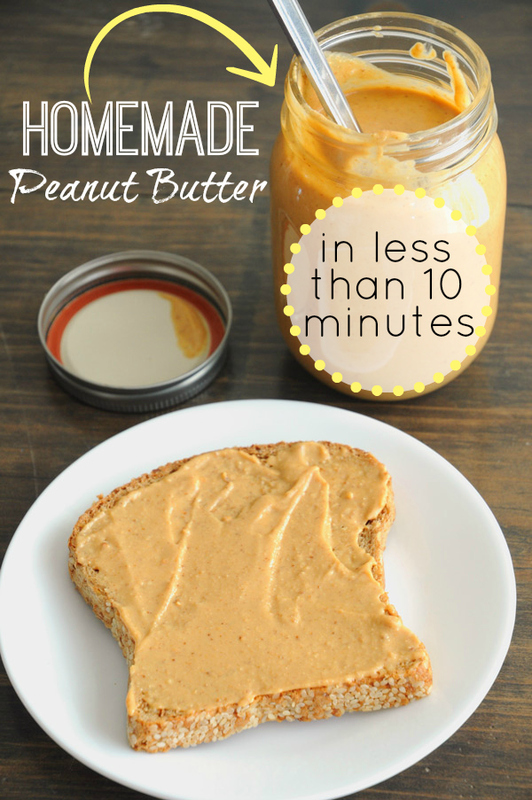 Homemade peanut butter in no time flat! Easy, delicious and inexpensive. What could be better? All peanuts to your food processor or blender, the process/blend until it reaches the smoothness you like, stopping to scrape the sides of the canister if necessary. For me (I like very smooth peanut butter), it took about 7 minutes in the food processor. Add in the salt & coconut sugar, if desired, and pulse a few times to incorporate.